Kyle Holland: On Saturday, the Nationals announced that they were re-signing manager Davey Johnson for the 2013 season. With the Nats clearing up the managerial situation it leaves the rest of their offseason for signing free agents. One free agent they will start with is outfielder/first baseman Nick Swisher. Drafted in 1985 by the Montreal Expos, Randy Johnson was erratic in his early days. After trading away Mark Langston to acquire the young fireballer, the Mariners worked him into the rotation and he developed into a Hall of Famer. 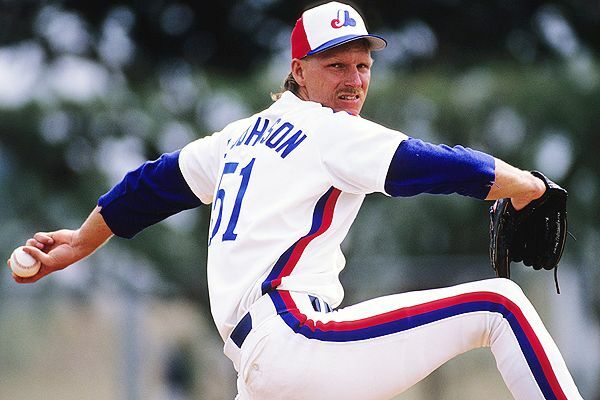 Chuck Booth (Baseball Writer and @chuckbooth3024 on twitter)- When looking back at some of the pitchers that the Montreal Expos have had in their organization, you don’t have go down the list very far to find Randy Johnson. He is the ‘crown jewel’ of the draft history record for the club. It is unfortunate the ‘The Big Unit’ was traded to the Seattle Mariners with Brian Holman and Gene Harris to the Mariners for rental player Mark Langston and a player to be named later. To be fair to the Montreal Expos, they were in serious contention for the pennant in 1989 and were trying to chase down the Chicago Cubs. Langston was one of the top Left Handed Aces in the Majors and he was available. Johnson was completely wild in the Minor Leagues and the Expos had a lot of veteran pitchers like Dennis Martinez and Bryn Smith that were on the back end of their careers. The time to try and win was now and they could not wait for Johnson to come around. 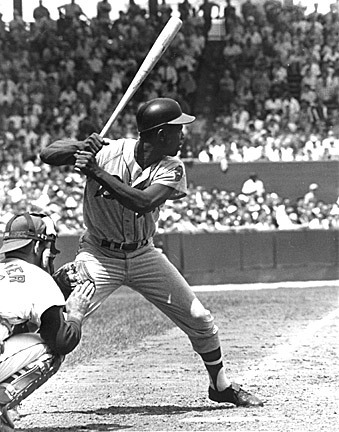 The Expos did not succeed in capturing the pennant and Langston moved onto the California Angels as a free agent while Johnson blossomed into the premier left handed pitcher in his generation. Speaking of Martinez and Smith, they won 100 and 81 games respectively for the club. While they were not drafted by the Expos, they are 2nd and 3rd on the all-time win list. Along with Smith and Dennis Martinez (who threw a perfect game as an Expo in 1991 and note: Bill Stoneman also threw two no-hitters for the franchise), you have to factor in the career of Pedro Martinez as an Expo for guys that were great pitchers during their prime. Pedro was acquired prior to the 1994 season from the Dodgers in exchange for the Expos departed ALL-Star second baseman Delino DeShields. Martinez went 11-5 in the strike shortened year and formed an impressive 1-2 ace combination with Ken Hill. Pedro went onto a 55-33 record and a 3.06 ERA for his 4 year Expos career. Pedro’s best year with the club was 1997 where he was the NL CY Young with a 17-8 record and a 1.90 ERA. Martinez finished the year with 305 strikeouts and a ridiculous 13 complete games. Pedro ended up signing with the Boston Red Sox before the 1998 season and he ultimately won a World Series with the Beantowners in 2004. In his post game celebration, Martinez mentioned the Expos franchise and their fans. Pedro shared his triumph as a testament to them. It was talent like this that Expos could never afford to resign and would lose outright- or have to trade for prospects based on their economic viability. I will get more into this in Part 3 of the Article Series on Friday. The Streak stands at 23 MLB Parks in 18 calendar days!! 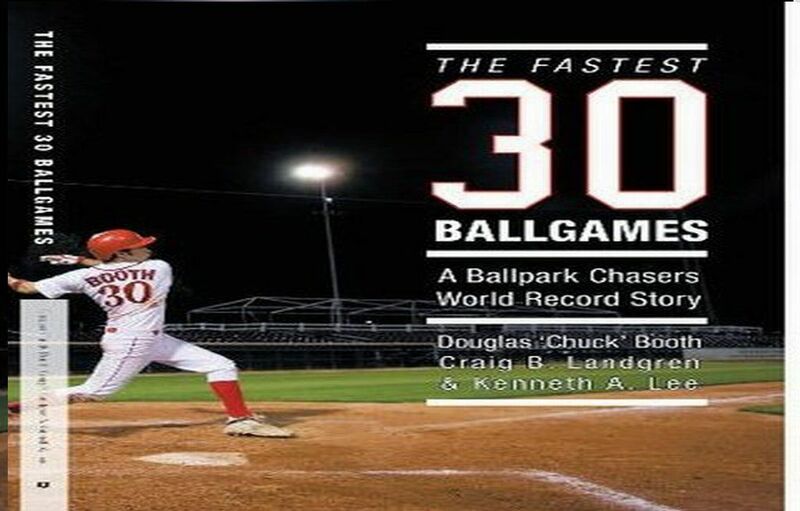 Chuck Booth: I am the World Record Holder for-Fastest to see all 30 MLB parks in 24 days (2009)! 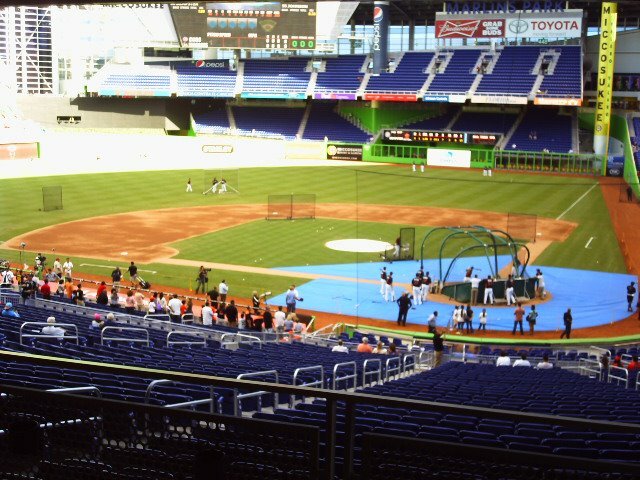 In 2012, I am going for 30 MLB Parks in 23 days from: April 6th to 28th. 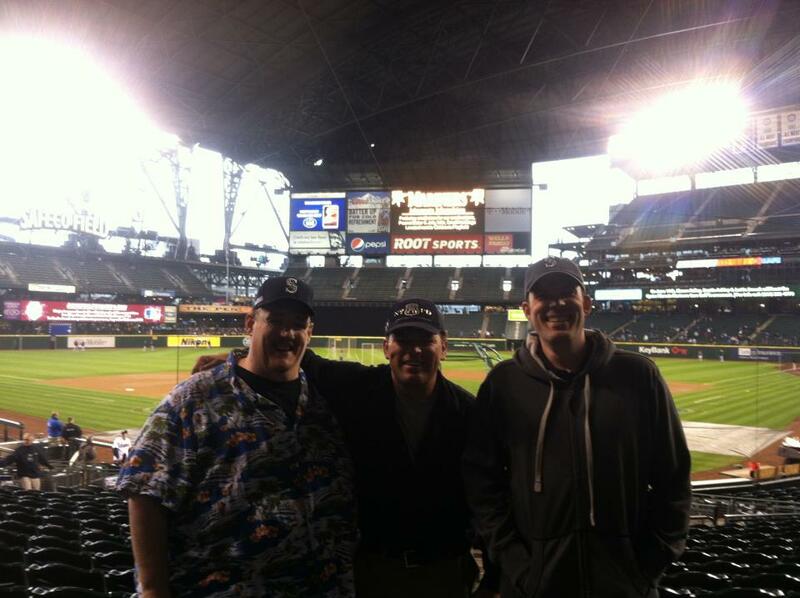 Ken Lee, Chuck Booth and Doug Miller all at Safeco Field for the game #18 in 14 days on April.19/2012. (They would later be featured on TV several times above the King’s Court Seats. ) Chuck also had a special welcome wave from the TV Jumbo Tron and was given a free gift bag from the Seattle front office. Chuck Booth (Lead Baseball Writer and @chuckbooth3024 on twitter)- Bob Devries loves baseball, this much is evidently clear when you get to know his story around the game. I am going to meet Bob in person for the doubleheader attempt of Chicago and Milwaukee. I can think of no other one person than I would rather hang out for the day in Chicago than Bob. His spirits were brought back up back in his life by visiting all of the 30 MLB parks. While my case was entirely different from Bob’s, our common theme is that baseball brought us both back from the depths of despair. I had the chance to talk to Bob about life, baseball and how we share the unique distinction of being the only two people on the planet to have attended a game in every park as a fan for two consecutive years in a row. BD: “I am just your average, soon to be 49-year-old sports fan. I got married last summer to someone who I have known since we were in the 6th grade and reconnected on Facebook. Charlie (Charlene) and I make our home in McHenry, IL. I work for a distribution company as a logistics manager. I have a stepson, Brent, who is of all things, is a St. Louis Cardinal fan. Brent got to live out a baseball fans’ dream this past season. He was at Busch Stadium for game 6 and 7 of the World Series. 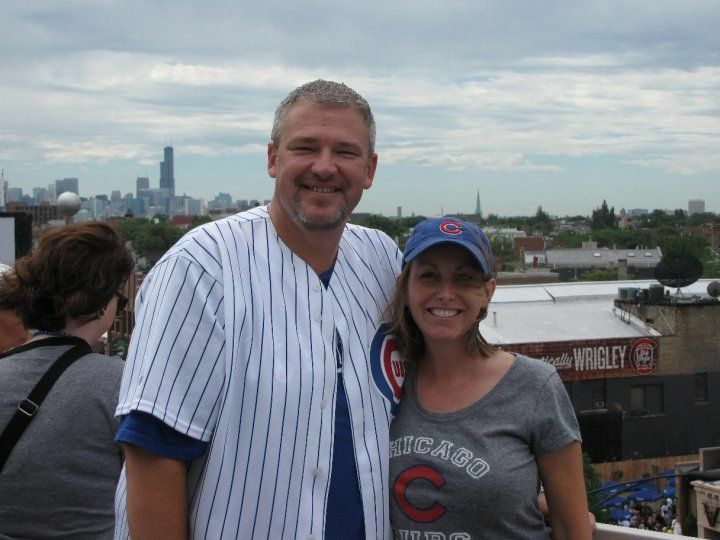 My life as a Cub fan started in 1971 when my dad took me to Wrigley Field for my birthday. I often wonder if we would have gone to old Comiskey Park for a Sox game that day would I be a Sox fan today, thankfully we went to Wrigley. Chuck Booth- (Lead Baseball Writer and @chuckbooth3024 on twitter)- Today’s expert is Kurt Smith. Kurt will be the interview subject of the following parks: Citizens Bank Ball Park Tropicana Field and today’s featured expert Article of Turner Field. Kurt is highly respected in the ball park chaser community for his BallparkEGuides. After you are done reading this article I implore you trust in Kurt to deliver up tips and suggestive idea’s on how to make your stadium visits affordable and pleasurable. I had a chance to ask some questions of the man recently. KS: “I’ve been to Turner Field for a few games and a tour, in researching for the Turner Field E-Guide that is available at my website. 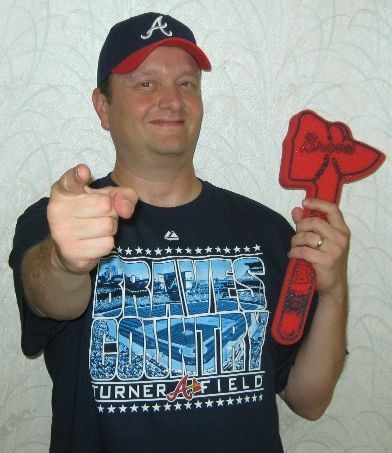 I wouldn’t call myself a Braves fan necessarily, but there are a lot of things I like about the team. They have a history of great players like Hank Aaron, Eddie Mathews, and Dale Murphy, and I loved watching Greg Maddux and Tom Glavine pitch in their prime. Turner Field is a fine ballpark too; they did a nice job tearing it up after the Olympics and on a nice day it’s as good a place as any to see a game. Braves games are very affordable too; the team gives a lot of value even though they are putting a pretty good product on the field. So in a pinch, I could certainly pull for the Braves. Douglas ‘Chuck’ Booth (Baseball Writer)- Since writing about traveling to ballparks is what I know most about, I thought I would take the next 9 weeks (before the season starts) writing articles that extensively go through every part of my expertise. Over the course of the last five years I have done countless hours of research on this subject matter, so I am going to share my information with you in hopes you may save some time or money this 2012 MLB season. 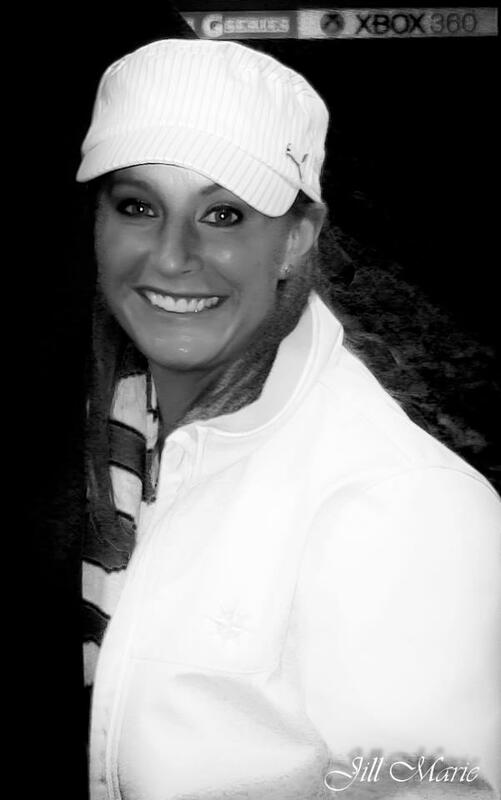 I am sharing my knowledge of: baseball tickets, maps, frequent flier miles/reward points, car rentals vs. driving your own car, hotels, airports and finally time management & budgeting. Here is a sneak preview of what I will be posting. The best way to ensure that you have money available on your credit card, (keeping in mind that most rental places take a $200 minimum deposit), is to bid on your car through www.priceline .com. There is a feature where you can bid on your car rental for specific airport locations called ‘BID NOW.’ You can offer a price that you have to pay immediately, but in most cases you will find a serious discount. I have often bid 40% of the average car rental per airport price and had the offer go through. Anyways, 80% of the time your winning bid will come back to rent from Alamo/National Car Rental. Alamo/National is the best car rental company by far in the United States. Not only do they have exceptional customer service—–they also do not charge your credit card for any $ amount more than the price of your rental. Do yourself a favor and also sign up for ‘The Emerald Club Rewards Program’ from National. They have airport bypass the counter options that enable you to USE self-serving kiosks that do not require you to stand in line at the car centers-rather pick your class of car and proceed to the exit. Other car rental companies have deposit charges that are held against your credit card. If you are going on a 4 city trip, you can easily have up to $800-1000 dollars locked up in these deposits, this can be harmful in you enjoying your trip. Not all of us have the affordability to have so much money unavailable. An average of 5-8 days is what it will take for the deposited dollars to be restored when your car rental is completed. National is the only car rental company in which you can redeem a free earned day car rental for a one-way drop off without paying an excessive fee if you have earned a free rental reward day. I will give you an example. This means you can rent a car in Los Angeles and drop it off it Albuquerque, New Mexico within the 24 hours for no money extra. Also with this incredible deal, is that you pay just pennies in taxes for your accrued free rental days, where other car rental places can charge up to $20-30 just in taxes alone despite offering you the free day for a rental reward. Perfect for that baseball traveler that wants to head in one direction! Priceline is great for bidding on car rentals, but is also fantastic for hotel rentals where you can use the same option to bid for your price of hotels. Honestly, when we are all in the middle of a big baseball road trip, the last thing we want is to spend excessive amounts of money on a hotel we are not going to use other than a quick sleep and shower. Wouldn’t you rather spend a lot more time at the ball yard? Again by bidding on the hotel, and paying for it right away you can ensure on a more of a budget/cost certainty. Even if the front desks take a small deposit at time of check in—these transactions are quickly released when you check out. The best to bid is too low-ball your first few offers, then gradually increase your bidding. 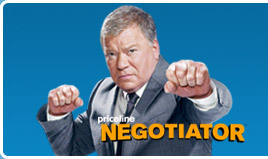 Now Priceline does make you alter your bid for every declined request you submit, so the key is to not act aggressive in frustration when you don’t win the bid. The key here is to be patient. After 24 hours, you can re-open up all columns to bid again with an increased offer from your first one. Just chart your offers to slightly increase your amount until you have success. I would not suggest you use Priceline for airline flights because the winning bid will usually feature layovers, or more importantly, the times of the flights on won bids may not be conducive to arriving in time for a baseball game in your destination city. 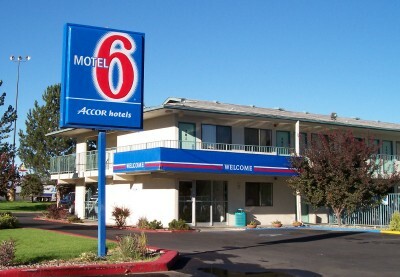 For those economy travelers such as myself, I implore you to use Motel 6 and/or Super 8 as hotel chains to stay throughout the USA. They are decent hotels for the $value you pay. The best feature about these hotels is the ability to check in by 11am-12pm. Most 3-5 star hotels have check in times that start and 3 or 4pm. Again if you are flying or driving in from some other place do you really want to drive around for 3-4 hours sight-seeing because you are simply waiting for a check in time? Most baseball parks open their gates by 5PM for night games. Plus with these places cash is preferred, so they do not require a deposit on your credit card. If you are staying in the same city or have sufficient time to stay in one hotel, I would recommend you use Priceline to bid on your hotels. You can save up to 50% off with winning bids on 2-5 star hotels. Keep in mind that most of those hotels can save you money vs the budget hotels, with their free breakfasts. Both of these methods of transportation are a great way to see a bunch of baseball games fast while missing a lot of cluttered highway traffic, particularly in: New York-Baltimore-Washington-Philadelphia-Chicago-Milwaukee. 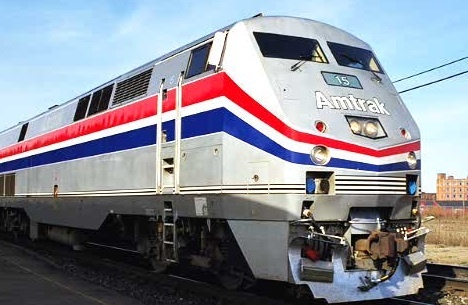 Not only will you save gas/traffic scenarios-but Amtrak has a baggage check option at most stations for $3-4 dollars an item per day. All you have to do is have an itinerary, (coming or going) and you can check your luggage items. You will have to monitor the hours of operation for these places-however this option is exceptional when attending matinée games in any of these cities. New York’s Amtrak Station-(New York Penn Station), is a life saver when you can drop off your luggage and avoid renting a car. ‘Greyhound Bus Lines’ is also a good alternative for this in the cities of : Tampa Bay-Miami-Los Angeles-San Diego-Minnesota-Cleveland and Pittsburgh. Early morning flights are usually the cheapest airfares. I always use www.kayak.com when booking flights into baseball cities. If you are flying to cities like Cincinnati-Milwaukee-Detroit-Houston-Atlanta-or Dallas you may be shocked at how much they charge for flights. There is a way to get back at those airlines. I have done the following several times. Since these are hubs for other cities from big airlines, I would check flights from your starting departure and use your intended city of these listed above as a stop-over and then you can walk off the plane during the stop-over if it is cheaper—-and providing you are traveling without checked baggage—example. Three years ago I had to fly from Pittsburgh to Detroit during a double-header attempt for the first day of my World Record Chase. I needed a Pittsburgh Northwest Airlines flight that left at 5:15 PM directly to Detroit that arrived at 6:28 PM—it was the only non-stop flight that I could get that would give me a chance to make the Detroit game on time. There was a problem when the price came back was $500 for what was less than a 500 mile flight! I went to work with my strategy. I came up with a flight from Pittsburgh to Chicago-with the 1st leg of the trip being my flight that arrived in Detroit at 6:28 as the layover. The price for this flight was $130. There are many instances of this. I will explain more in the book how I used this scenario for a flexible schedule in case of make-up games. Southwest Airlines–‘I wanna get away’ feature at http://www.southwest.com is a good price point for all of this airline’s domestic flights. Southwest might be marginally higher in price than some other airlines, however they do not charge for the 1st 2 checked bags as you may have seen from their steady TV Ad Campaign. They also do not charge transfer flight fees. This airline is setting the pace for customer price gouging acknowledgement. Air Tran Airways-Quite frankly, they are the best airline in the USA for MLB fans. They are cheap, have newer airplanes with the most leg space for a coach ticket. They also offer more one-way non-stop tickets in the morning. 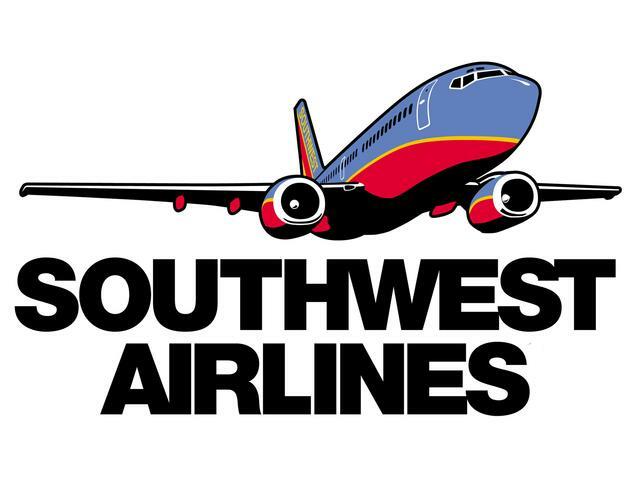 Oh yeah…They are the official airline of XM Sirius Radio. You can listen to MLB games live in flight, or during off hours you can catch up on all of your favorite shows on XM Home Plate. Air Tran only charges $75 in case you have to change your flight at anytime plus the difference in flight. This price is half of most of the legacy airlines. Should you miss your Air Tran flight they also let you fly stand-by for the rest of the day on any remaining flights to your city of destination. This is just the start as I will provide a game plan for all of the 30 MLB cities. I will take a look at all facets/methods of travel-that will include money and time-saving tips. After all, don’t we all want to see as many baseball games as we can without being hit in the pocket-book?